Subashiri (須走) in Oyama (小山町) in Shizuoka Prefecture. In the back Mount Fuji is visible. 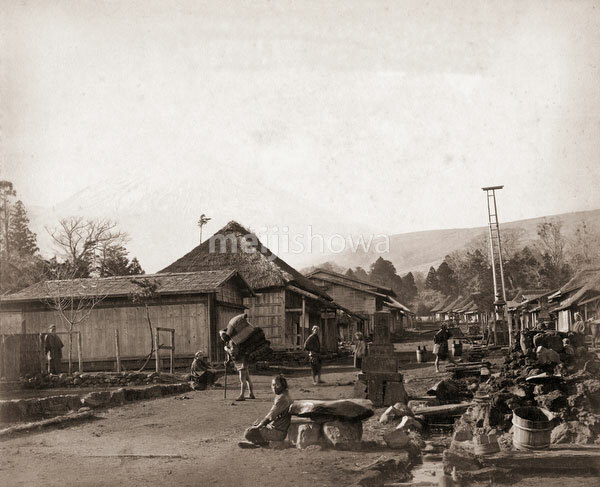 The village flourished due to its close proximity to Mount Fuji and its location on the route from Gotemba to Yamanashi.